Sophia and Alexia attended Preschool Storytime at the Shaw Wetlands before Discovery Camp. More than 40 children and their families recently spent two days splashing around Fayette County learning about water resources, pollinators and wildlife during Discovery Camp. Discovery Camp is a day camp where children and their families ride a bus to local natural areas and participate in activities, games and crafts that are both fun and educational. Day one of Discovery Camp began with a bus ride to Fayette Fish and Game, where naturalists from Deer Creek and the Fayette Master Gardeners helped the children create art projects and photograph bugs to learn about the relationships between pollinators and the flowers that attract them. After lunch, the campers rode to the Shaw Wetlands to explore the wetland habitat and also throw a few water balloons. The second day of Discovery Camp was centered around Deer Creek, beginning with fishing and crafts below the dam, and concluding with a wading expedition into the creek where the campers used seines and cast nets to capture and identify species in the creek. They determined the creek to be healthy based on the variety of nymphs, bugs, and small fish captured. On the evening following camp, campers and their families enjoyed dinner and a show by natural entertainer Chris Rowlands. Rowlands used humorous songs and larger than life puppets to keep the audience singing and laughing while also teaching many fun facts about Ohio’s wildlife. This was the second-annual Discovery Camp planned by the library and the soil and water district. Besides these organizations, many thanks go to Fayette Fish and Game, Fayette County Park District, Deer Creek Army Corps of Engineers, Fayette Master Gardeners, and Fayette Travel & Tourism for their efforts and donations. 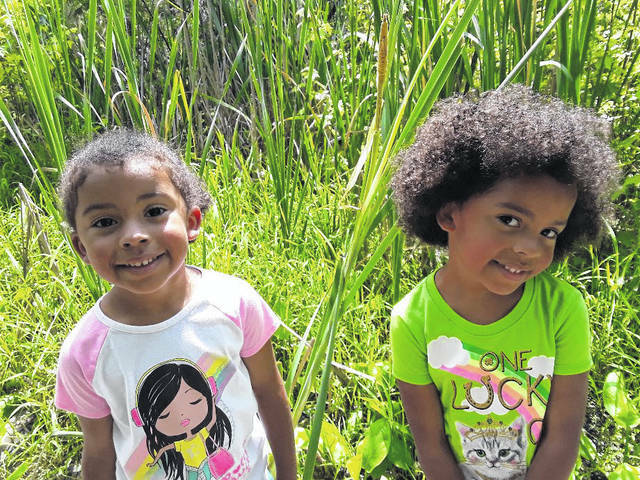 https://www.recordherald.com/wp-content/uploads/sites/27/2018/06/web1_Sophia-and-Alexia-attended-Preschool-Storytime-at-the-Shaw-Wetland-before-Discovery-Camp.jpgSophia and Alexia attended Preschool Storytime at the Shaw Wetlands before Discovery Camp.